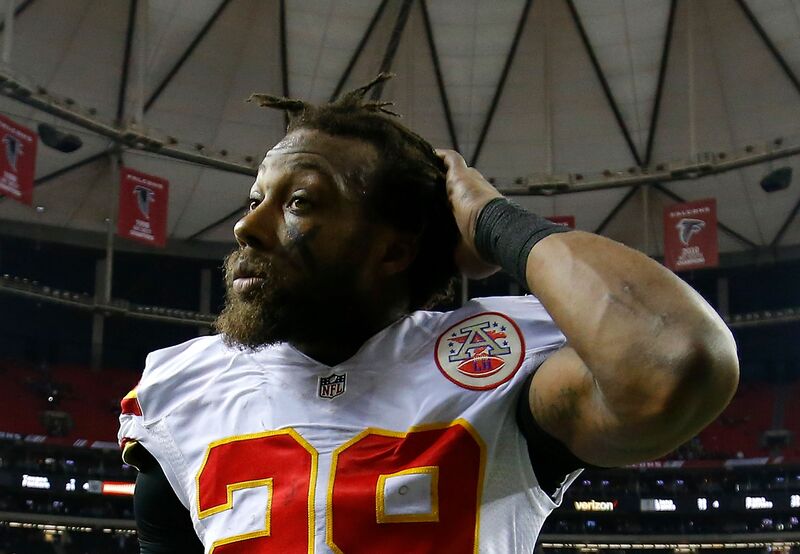 Kansas City Chiefs safety Eric Berry was nothing but positive heading into surgery to repair a torn Achilles he suffered last Thursday against the Patriots. You never want to see a player go down with injury, especially one the caliber of Chiefs safety Eric Berry. The Chiefs put together one of the most impressive performances of Week 1, beating the Patriots 42-27, but it didn’t come without a cost. Midway through the fourth quarter, Berry was carted off the field with what tests later revealed as a ruptured Achilles tendon. It was a devastating moment for Berry and the Chiefs. The three-time All-Pro is expected to be out for at least six months and will miss the entire 2017 season. But heading into surgery today, Berry seemed nothing but positive and had this message for Chiefs fans. Coming back to change the game are exactly the words you want to hear from Berry. At 28 years-old, it doesn’t seem like a retirement is even a consideration. Berry wants to come back even better than ever in 2018. A torn Achilles seems like a small mountain to climb compared to what he’s been through. Berry was diagnosed with Hodgkin’s lymphoma in December 2014 and no less than a year later, returned to field. He put together a career year, earning First Team All-Pro honors and a spot in the Pro Bowl. You’d be hard pressed to find another player that’s as tough as Berry. Even after all he’s been through, his determination to get back on to the football field is unprecedented. Chiefs fan or not, we are all rooting for Berry to get healthy and return for the start of the 2018 NFL season next year. Football is certainly better when he’s out on the football field.